By far the best fudge sampler online. Our Maple Walnut and Chocolate sampler makes a great fudge gift or as a special treat for yourself. 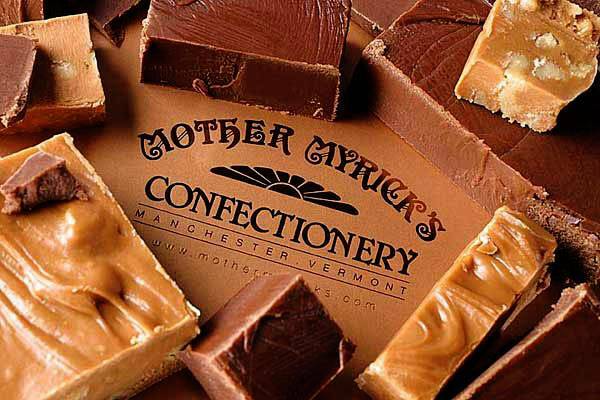 Start with the freshest Vermont cream and butter, slowly cook in an open-fired kettle, stir in our rich chocolate and you have the creamiest, best tasting fudge ever. 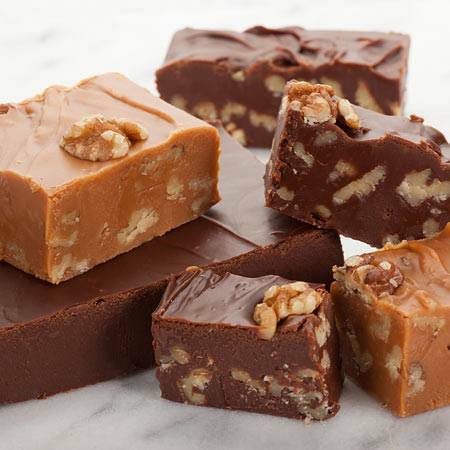 Our two pound Fudge Sampler of creamy Chocolate Fudge and delicious Maple Walnut Fudge is loaded with old-fashioned value and goodness.